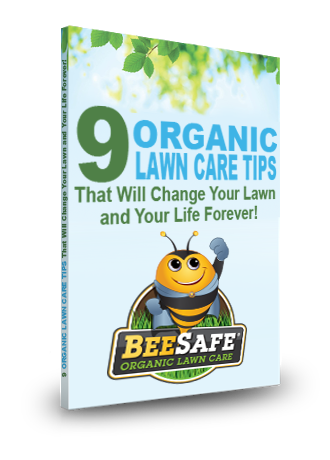 BeeSafe Lawns is a national organic lawn care company that has been able to perfect chemical free lawn care. We are proud to be the only lawn service in Southern New Hampshire certified and trained as an official BeeSafe Lawns applicator. By using organic fertilizers, compost teas and certified organic control products the BeeSafe program will create a thick, green and weed free lawn. If you make the extra effort to provide your family with healthy and organic food it only makes sense to “Go Organic” in your yard too. We will only use EPA exempt control products or pesticides that are certified organic. When we say organic WE MEAN organic…no greenwashing here. An organic lawn requires far less water because of all the organic matter that is being built in the soil. There are never any restrictions on re-entry with any products used in the BeeSafe program. Your BeeSafe lawn is safe for children and pets ALL THE TIME. Lime Applications: We always test your pH and make specific recommendations. Ant, Flea and Tick Control: Rid your property of nuisance pests. Preventative Grub Control: We only use products that kill grubs…not Bees and Butterflies. Organic Top Dressing: Probably the best way to improve the long term health of your lawn. Over Seeding: The fastest way to inject new life into your lawn. Aeration: Reduce compaction by having us core aerate your lawn. Weed and Crabgrass controls ARE ALWAYS INCLUDED AS PART OF YOUR PROGRAM.